Valerian Root has been removed and Blue Vervain has been used in place of it. 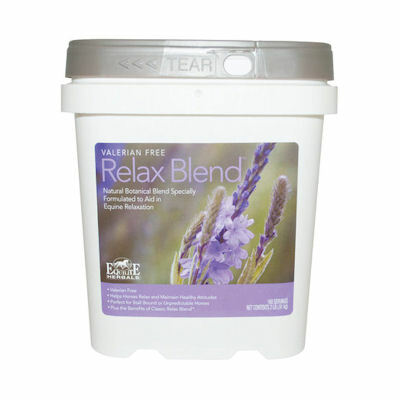 This is an all-natural herbal calming blend that nutritionally aids in relieving nervousness, anxiety and tension in the equine athlete. Contains Chamomille, Hops, Passion Flower, Wood Betony and Blue Vervain. Usage: For an average 1,000 lb. horse, feed 1/2 scoop twice daily. Introduce it slowly into your horse's diet to avoid problems with picky eaters.